The Outstanding Alumni Award has been presented annually since 1988 to an alum of Rhodes State College or Lima Technical College who has distinguished him/herself both professionally and through community service activities. These accomplishments may emphasize professional, social or educational values. Past recipients represent a wide variety of area citizenship, leadership and professional excellence. The 2018 Rhodes State College Outstanding Alumni Award recipient is Roni L. Height, who recently retired from a 40-year career in Corporate Tax Accounting. She grew up in Kenton, Ohio and earned an Associate Degree in Accounting from Lima Technical College in 1977. She considers her associate degree to have been “the springboard to my successful business and personal life.” Upon graduation, Height began work as a Tax Clerk at the Marathon Petroleum Company Refinery in Texas City, Texas. She continued her education with a Bachelor of Science in Accounting and Master of Science in Accounting from University of Houston and became a licensed CPA. Over twenty years, Height worked for several Houston-based companies in the oil and gas industry, expanding her responsibilities and leading to significant tax savings for each company. In 1999, she joined Texaco Inc. and was involved with U.S. refining and marketing operations. After Texaco merged with Chevron, she was promoted to Partnership Tax Compliance Manager and relocated to Chevron’s corporate office in California. Her responsibilities included managing Chevron’s state and federal partnership income tax compliance with audits of 350+ partnerships. Since retiring from Chevron in 2016, Height completed a contract merging SolarCity Corporation solar panel partnerships into the financial systems of Tesla Inc.
“My community efforts combined career and community activities,” states Height. While living in Houston, Texas, she assisted in establishing dozens of nonprofit community and charitable, tax-exempt organizations to build parks and improve neighborhoods. Height helped raise money to create Haden Park and park renovations in the redevelopment of Nob Hill Park. Upon moving to California, she assisted low-income citizens with their tax returns and by serving as a member of the Contra Costa Centre Municipal Advisory Council. In 2017, the Tax Executive Institute, San Francisco Chapter honored her with its Meritorious Service Award for outstanding service to the chapter and community. 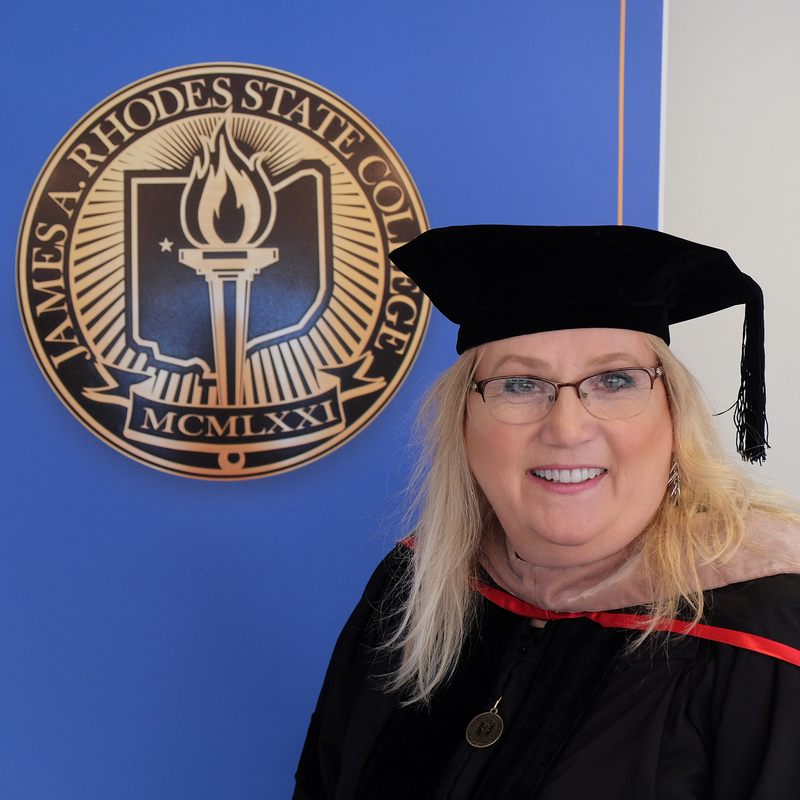 While currently living in Texas, Roni maintains local connections by making classroom visits at Rhodes State College and other institutions. She recently registered as the first Alumni Career Mentor and will assist current and future Rhodes State College students in planning their careers.